Last week, the Joint Center for Housing Studies of Harvard University (JCHS) released their bi-annual report, Improving America’s Housing. According to the report, the residential renovation market, which includes spending on improvements and maintenance, reached a new high of $424 billion in 2017, growing over 50 percent since 2010. 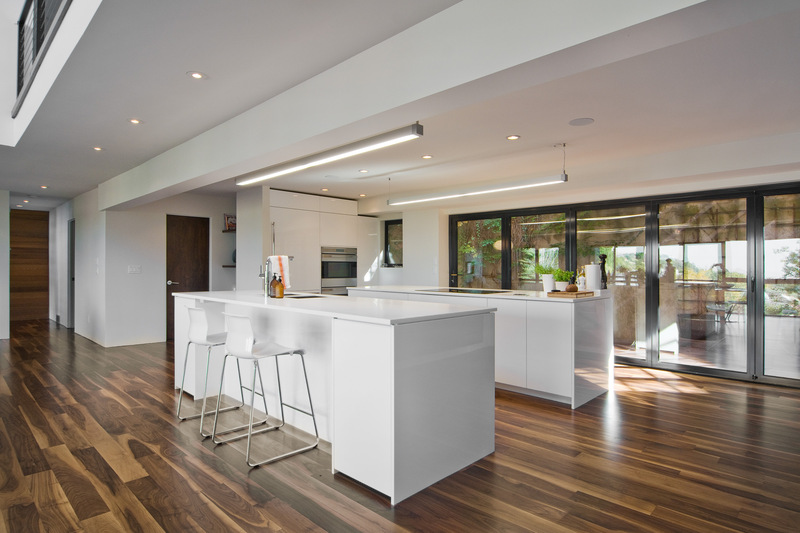 Similar to Houzz research on market dynamics in 2018, the report’s findings show that consumers are investing unprecedented amounts on discretionary projects such as kitchen and bathroom remodels and additions, and the popularity of non-discretionary projects such as exterior and system upgrades continues to grow. Importantly, the last decade revealed a major shift in the role of residential renovations as a share of overall investment in residential housing stock, a key indicator of economic activity. Specifically, between 1997 and 2007, new residential construction, i.e., building of new single- and multi-family housing, accounted for 55 percent to 60 percent of residential investment, consistent with trends of the previous decades. These contribution levels justified meticulous tracking and studying of new residential construction, leaving home improvement and repair activity mostly in the shadows. However, the scales flipped considerably after the 2007-8 financial crisis. The disproportionate initial contraction of new construction spend and quicker recovery of renovation activity has led to the growth of renovation share in residential investment to over 50 percent, settling in at 55 percent today. 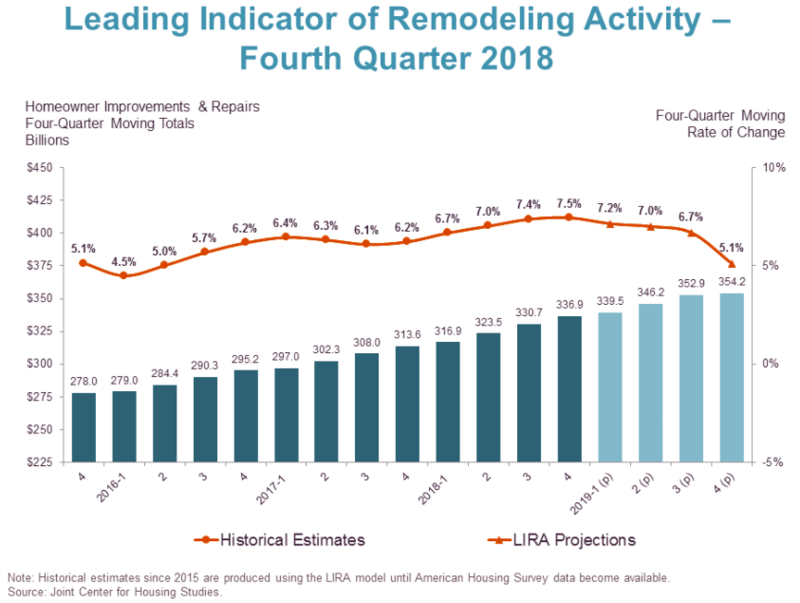 In other words, within the last decade, residential improvements and repairs have gained a level of prominence never seen in the U.S. history, as illustrated in the chart below. There is not one but myriad market fundamentals propelling the residential improvement and repair industry forward. Aging housing stock, decreased household mobility, limited inventory of new or existing homes for sale, large demographic segments reaching prime years of investing in the home, and record home equity accumulation, are some of the key tailwinds for the home improvement and repair industry. It also helps that consumer confidence is high and the unemployment rate is at record lows. These fundamentals explain the robust growth forecasted for the home improvement and repair industry for 2019 by JCHS and as predicted in our State of the Industry, despite the slowing growth in the larger economy. Finally, the JCHS’s report illuminates a pivoting point in how homeowners pay for home improvements. 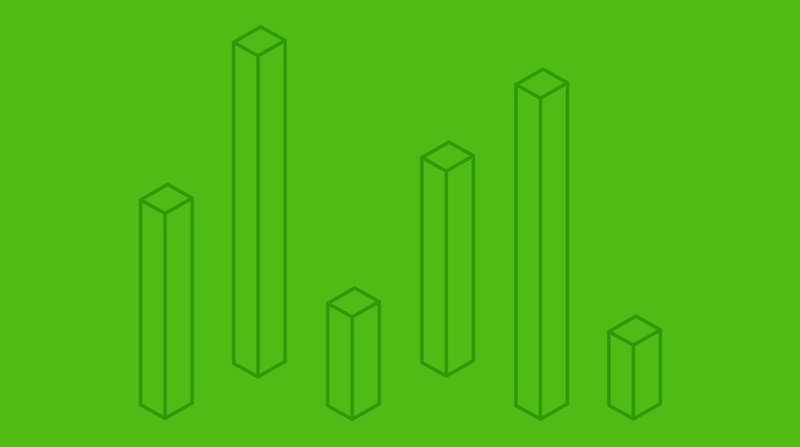 Houzz research has shown that consumers are increasingly moving away from cash to credit cards by taking advantage of promotional interest offers and various credit card rewards programs. Furthermore, our research indicates that as home equity more than doubled since 2011, so did the volume of secured financing that is typically used to fund home renovations. With the continued growth in home equity, we expect more consumers to take advantage of home equity lines of credit, or HELOCs, to pay for home upgrades and retrofits that are critical to maintaining our housing stock in good order.